Often, when you log into your Linux VPS, you are looking to get some work done. However, no one can claim that the thousands of developers who create the software available on a typical Linux machine are always completely serious. Linux has a history of including some fun "easter eggs" in its software. In this article, we'll tell you about some fun commands and options to lighten up your day. Not all of them are "easter eggs", but we think you'll enjoy them none-the-less. Those of you familiar with Douglas Adams, writer of The Hitchhiker's Guide to the Galaxy, will appreciate a relevant help option included in the vim text editor. 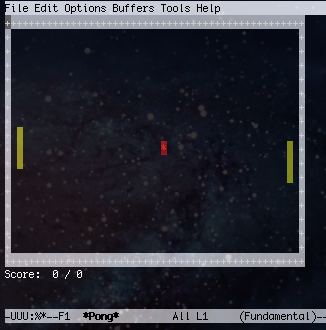 Not to be outdone, Emacs, the text-editor famous for including everything but the kitchen sink, includes a surprising number of games that can be accessed from within the editor itself. On Ubuntu and Debian, the apt-get package manager has had an embedded easter egg for a long time now. With apt-get's affinity for cows, users may be curious as to whether aptitude, another apt tool, also implements a fun easter egg. This is a reference to the book The Little Prince by Antoine de Saint-Exupéry. There are some strange options available in some common programs that you may wish to check out. You can configure sudo, used to elevate the privileges of a command, to insult users when they type in an incorrect password. To do so, edit the sudoers file with a tool called visudo, which edits and validates modifications to the sudo configuration file. Nmap is a commonly used network exploration tool that can be used to perform security audits on your system. Nmap provides you with the unusual option of being able to output its data in "script kiddie" format. Ho$t 1z Up (0.071z laT3ncy). Basically, it replaces certain letters with similar looking characters to emulate "hacker" language or leet-speak. There are two different network-reachable, command line Star Wars tributes accessible from your terminal. Simon Jansen, Sten Spans, and Mike Edwards created a full Star Wars tribute in ASCII (text) animated art accessible through telnet. In layman's terms: you can watch a text version of Star Wars in your terminal! A newer tribute to Star Wars has been achieved by Ryan Werber by naming the network hops to a specific address. If you run traceroute, a program that traces the path of packets to a remote host, you will see the intro to Star Wars in the network names along the way. There are a few programs that you probably don't need for any other purpose, but can be fun if you have some time. If you've ever accidentally typed sl when you meant to list a directory's contents with ls, then you may want to install a program "sl". A train will chug across your screen each time. If you need some more cheap amusement at the command line, and didn't get your fill of cows from the "apt" easter egg, you can download cowsay and fortune. cowsay "hello, I'm a cow"
As you can see, not very useful, but pretty fun. This guide probably didn't impart any essential knowledge or improve your Linux abilities, but hopefully it helped you relax and perhaps even explore your system a little bit. Let us know in the comments if you have any other good easter eggs or unusual, fun commands.